Your One Stop Cable, Wire, Enclosure & Pneumatic Components Provider! Why choose Hi-Tech Controls as your Wire & Cable house? Our Mission is to provide customers with cable, wire, cable accessories, industrial enclosures and pneumatic components products at competitive prices with exemplary customer service. Hi-Tech Controls Inc. carries a huge variety of Cables & Wires supplies for North America. Our suppliers design, manufacture and supply cables, wire and accessories for industrial applications. Their huge inventory allows us to ship most of the time without delay. It allows immediate shipment of almost all standard cable types and sizes. 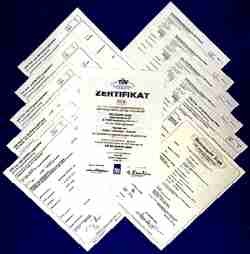 Approvals such as UL, CSA, VDE, HAR, MTW, SEV, NFPA 79, CEI, CNOMO, USASI, etc. Special cables needs can also be manufactured at their plants to meet your individual needs. Request your catalog today! We are looking forward to helping you solve your cable and wire needs. Hi-Tech Controls Inc. also has a large inventory of Industrial Enclosure products. We are the importer of Hensel, Hummel, Etc. products for North America. We carry enclosures consisting of Polycarbonate, ABS (Acryl-Butadiene-Styrene), Polystyrene, Fiberglass materials. Specifically built for Indoor / Outdoor / Offshore applications. Custom configuration are welcome! We also carry a varity of Pneumatic Components products. Fittings, FRL Units, Valves, Cylinders, Nickel Plated Brass, Composite Fittings, Push-In, Pipe, DOT, High Pressure Fittings, Manual, Mechanical, Air-Pilot, Flow Control Valves, BSP/Metric, NPTF/Inch Sizes, Mini-Cylinders, Tie-Rod Cylinders Series 60, Cylinders Series 61, Aluminum Profile, Filters, Regulators, Lubricators, etc. Please contact should you have a pneumatic need.